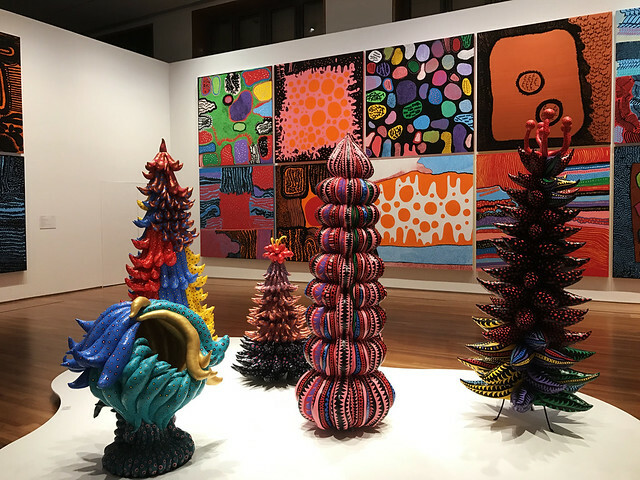 We found out about Yayoi Kusama’s Life is the Heart of a Rainbow exhibition completely by accident. We were having lunch with some friends when one mentioned wanting to go to the National Gallery Singapore after. “What’s there?” we asked. We’ve been there before as children, but couldn’t remember anything now. Of course we wanted to go then. 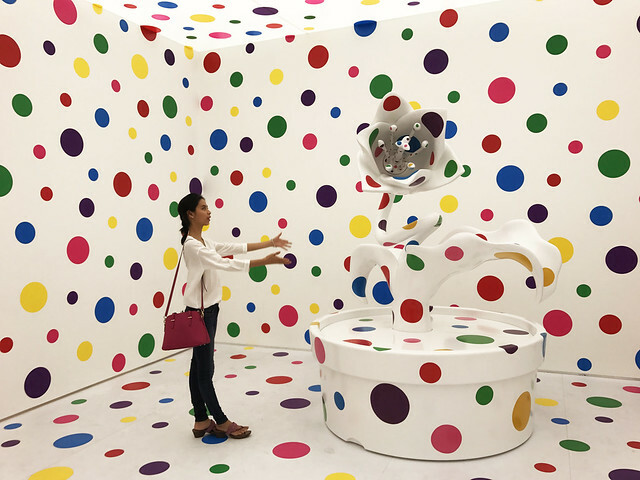 We’ve heard so much about Kusama and her unique, creative and often Instagram-worthy artworks. After we finished lunch, we hopped on an Uber and set off to the National Gallery. It was packed, and since the gallery would be closing by the time we could get in, we decided to go the day after. The next day, we arrived just before the museum opened so we could avoid long lines. After getting our tickets, we went into the exhibition, which occupied two different floors and many, many rooms. 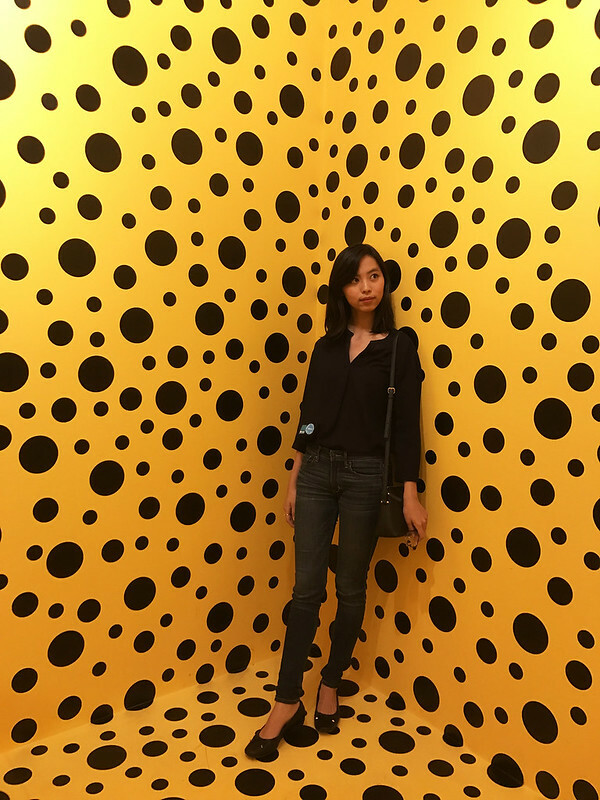 From immersive experiences in light-filled “infinity rooms” to gigantic paintings made entirely of dots, one couldn’t help but wonder what Kusama sees in the world around her. 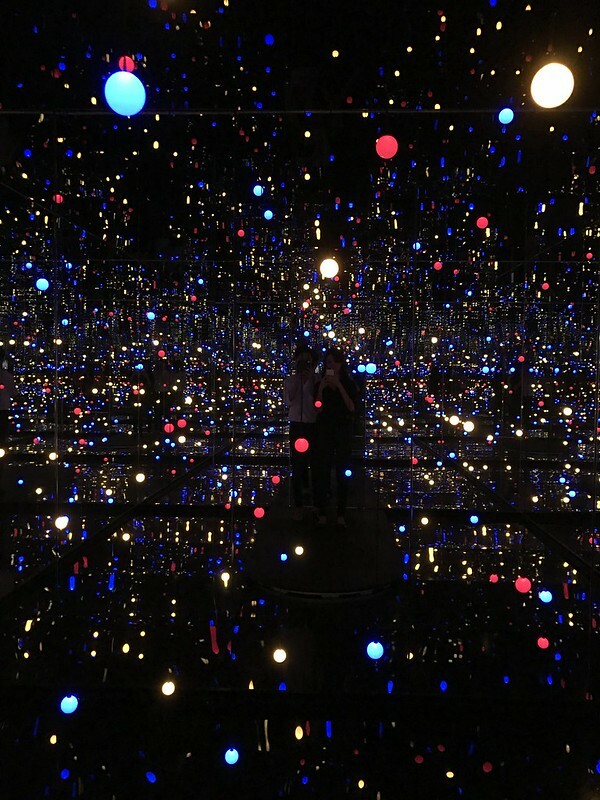 Being in the infinity rooms felt like being suspended in the middle of outer space, surrounded by stars. It made us think a lot about our existence and how unimportant our problems are compared to the vastness of the universe. We can’t really describe what we saw and experienced, so we’ll let our pictures do the talking. From short biographies detailing brief snapshots of Kusama’s life, we found out that she came from Japan. She suffered from hallucinations, which gave birth to the infinite patterns, be it dots or stripes or “nets,” that comprise her artworks. Her controversial happenings in New York and participation in the 1966 Venice Biennale catapulted her to fame in the West. 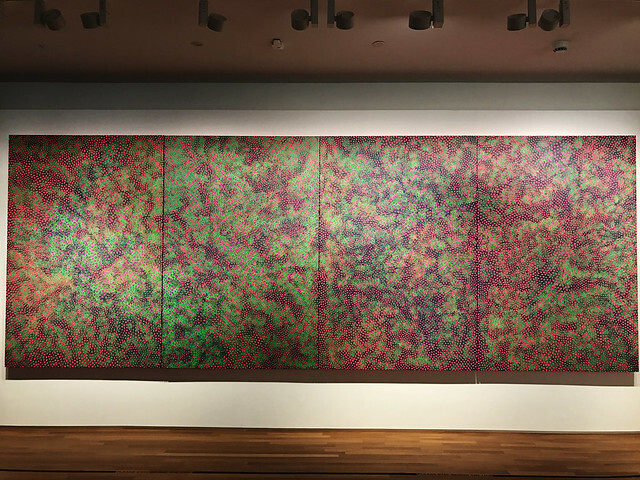 In the 70s, she went back to Japan and checked herself in a mental hospital, where she continues to produce mind-boggling artworks. But the National Gallery contains so much more. We enjoyed paintings from all around Southeast Asia (and were glad to see Indonesia represented by many beautiful paintings). 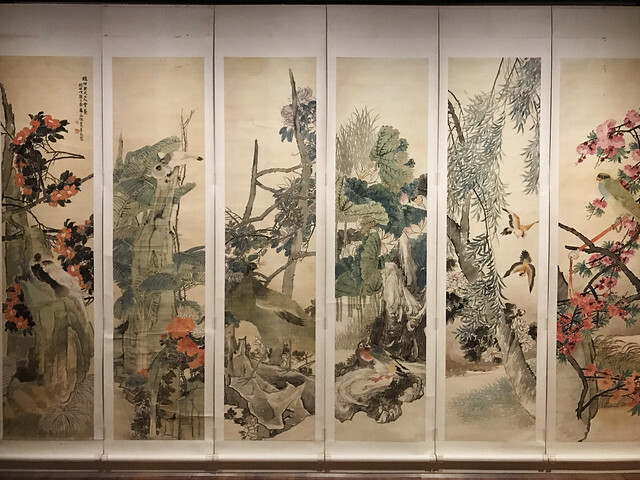 We saw artworks from the early days of Singapore, from back when it used to be a small colony with lush forests and small villages. We enjoyed paintings and sculptures from ancient China (we also tried, and failed, to decipher the old script). 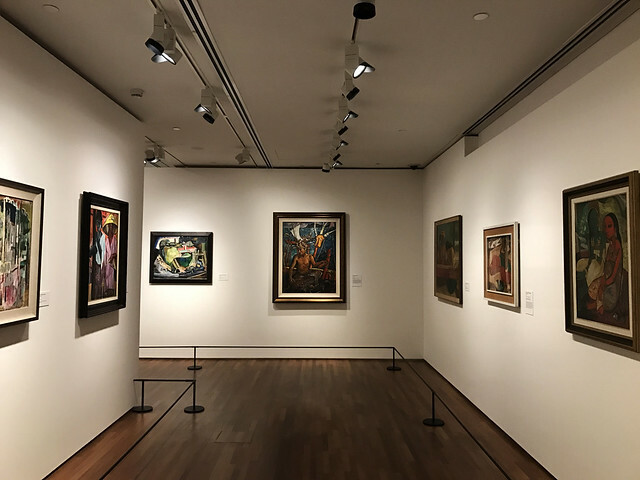 There were so many more things to see there, and we recommend you going and enjoying Singapore’s rich art and culture. Best of all, at the end of the day you can climb to the rooftop and enjoy a nice lunch with a great view of the city. This entry was posted in Tourist Traps and tagged art exhibition singapore, on budget travel, personal experience, photography, review, singapore, singapore attractions, singapore national gallery, student travel, tourism, travel blog, traveling, traveling twins, twins, twins travel, twins who travel, urban travel, wanderlust, what to do in singapore, yayoi kusama, yayoi kusama singapore. Bookmark the permalink. I really want to see the infinity rooms! They look so cool! Thank you! 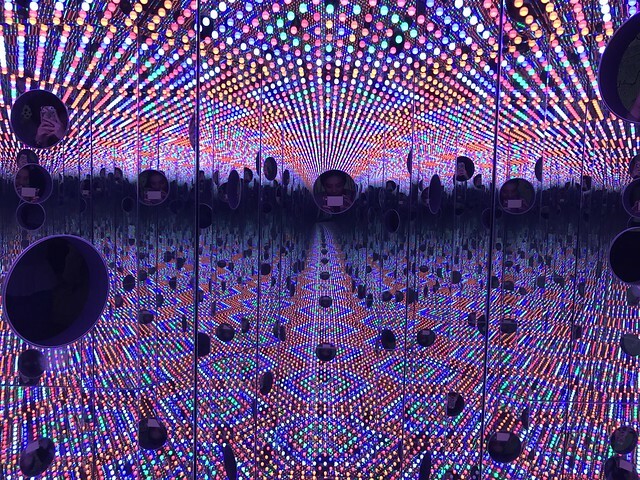 The infinity rooms travel around the world so I hope you get to see them soon! 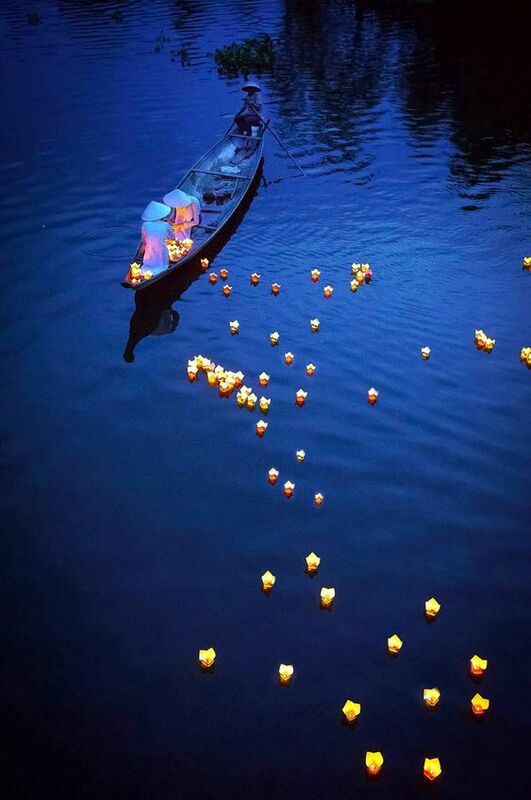 Amazing images, your site looks beautiful!